Some of the late summer produce from the garden. My first time growing tomatoes and aubergine. 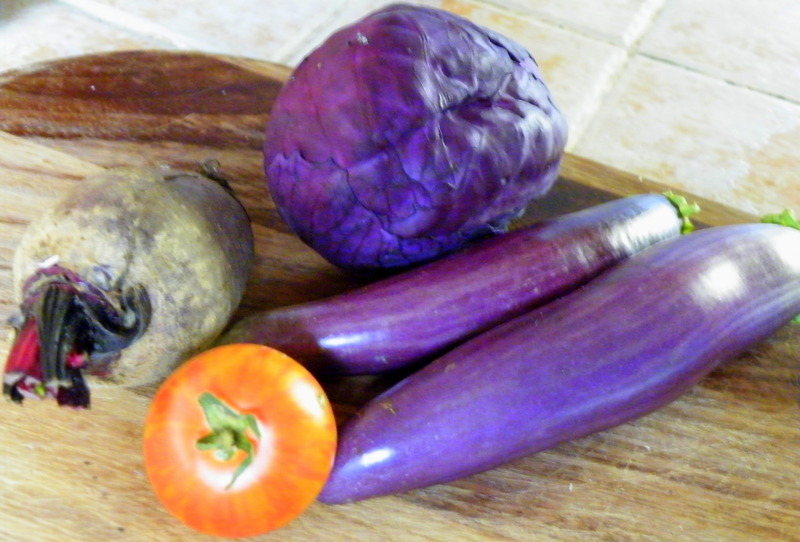 I am making Ratatouille later on. 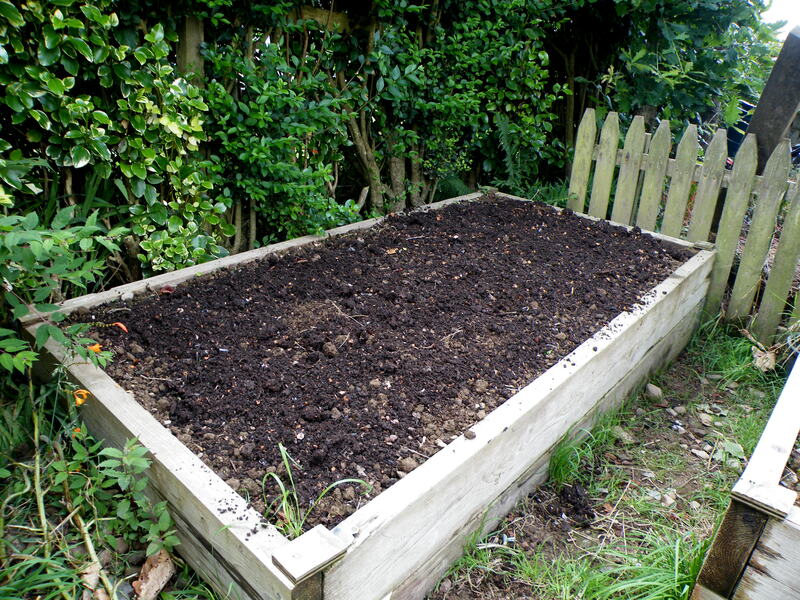 But my main job today was to get some well rotted compost out of the composter and spreading it on one of the beds that is ready for putting in Garlic and autumn greens. It did not take long to finish the job but it took all the energy I had today, so I am real glad that I got it done. 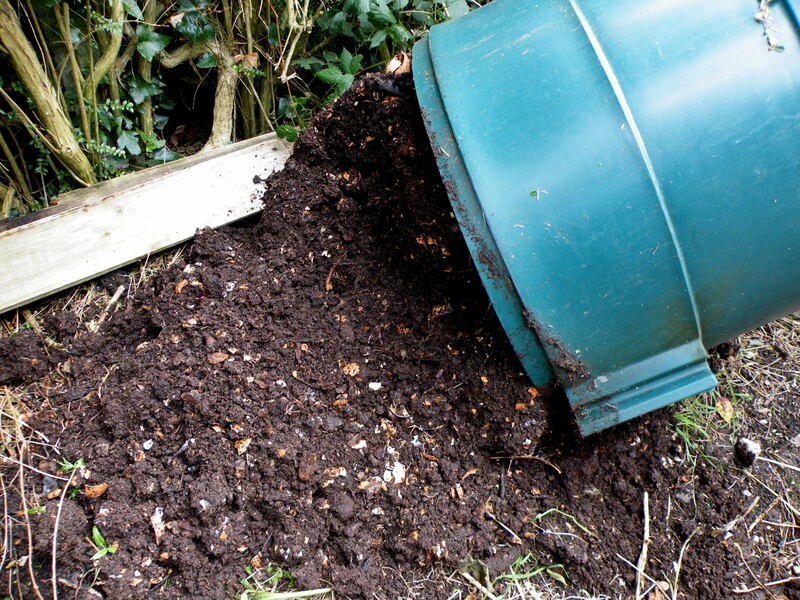 The compost is well rotted as it is in there for several years, the colour is good and dark, the scent is slightly sour, and there are a lot of egg shells in it which have not totally decomposed. I will know better now that I am reading this book on composting, and will dispose of my egg shells in a different way. One thing that I also noticed is that the compost is too wet, that is not good and I will need to find the solution for that. I also found worms, big fat slugs, woodlice, some spiders, and some millipedes in this compost, so plenty of diners. I have also added leafs of the Comfrey plants to the composter, but separate from that I make Comfrey tea also to use on the soil. Improving the soil and crop rotation are of foremost importance for my garden here. 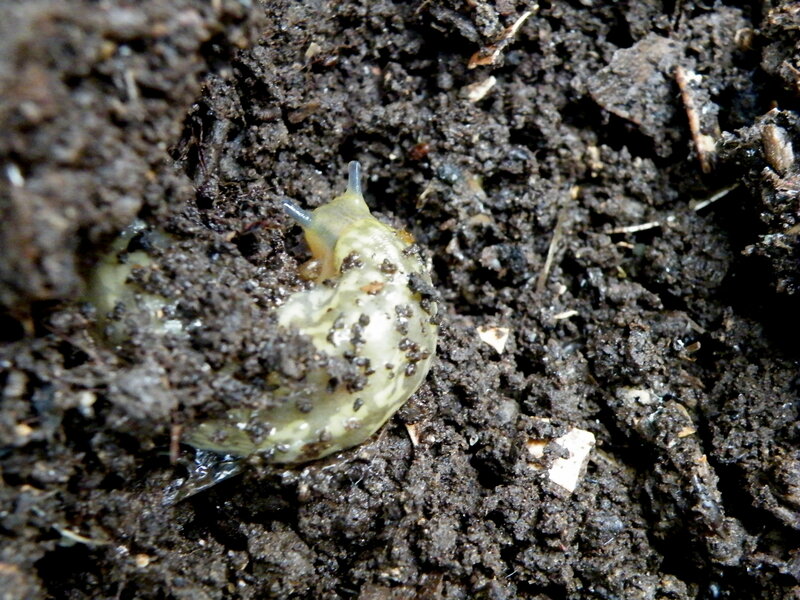 A lovely fat slug, one of many that are eating in the composter. The compost is spread on, I am expecting the soil to be improved a good bit after this, will wait a while before putting in the garlic, and the salad leafs. 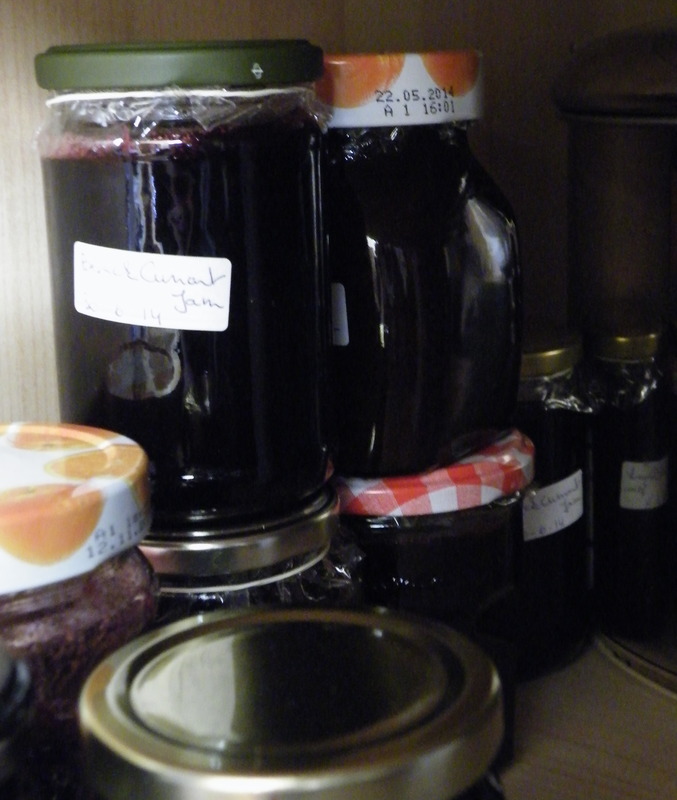 Other than that I made jam from wild Blackberries which my grandchildren picked, the smell of fresh blackberry and apple jam is delicious and still hanging in my kitchen this evening. I know who is going to love this when collected!